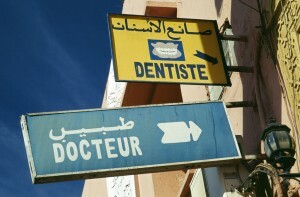 Signs for a doctor’s and dentist’s office in Morocco. Photo: Bryan Thomas on Flickr. Data for Health is helping WHO to conduct NCD (noncommunicable disease) household surveys, using the STEPwise approach to surveillance (STEPS) in Morocco and Zambia initially, and 4 additional countries to be selected in the coming months. The aim is to help authorities to establish baseline data and build strong information collection systems for all NCD-related health issues. Countries will also pilot a survey using mobile phones to test if this new methodology can supplement other household surveys of risk factors.